FRC Blog » Are Justices Sotomayor and Ginsburg For or Against Religious Hostility? Are Justices Sotomayor and Ginsburg For or Against Religious Hostility? On Tuesday, the Supreme Court upheld President Trump’s reasonable national security measures by a 5-4 vote in Trump v. Hawaii. In one of the dissents, Justice Sotomayor (joined by Justice Ginsburg) drew from the Court’s recent opinion in Masterpiece Cakeshop v. Colorado Civil Rights Commission to argue that President Trump’s “bias” against Muslims invalidated the travel ban because government actions cannot be motived by anti-religious sentiment. Yet less than a month ago, Justice Ginsberg (joined by Justice Sotomayor) dissented in Masterpiece, ignoring the blatant religious hostility against Jack Phillips that served as the basis for the Court’s ruling in his favor. The position of these two dissenters in Trump v. Hawaii would seem to lead to support for Jack Phillips, but it never materialized. In Trump v. Hawaii, much biased media coverage obscured the facts of a relatively simple case. President Trump issued a proclamation that temporarily suspended entry into the U.S. of persons from countries which did not provide adequate background check information. It made no mention of any religion (six of the eight countries on the list are mostly Muslim, but the other two were not – and numerous Muslim-majority countries were not on the list). The Supreme Court held that it was well within President Trump’s authority to implement this measure as a matter of national security. Justices Sotomayor and Ginsberg were having none of it. They insisted that the “ban” (another misnomer, since the regulations didn’t flatly ban anyone, but set up different requirements for different people trying to enter the U.S.) violated the First Amendment because of President Trump’s comments about Islam’s history of violence. The Justices reasoned that because religious hostility is not a valid basis for government action, and since these regulations were supposedly enacted out of some hostility to Muslims, then they are invalid. Justices Sotomayor and Ginsburg referenced Masterpiece, which relied on the principle that government hostility to religion violates the free exercise protections of the First Amendment, to support their argument that the Court should decide differently and to imply that the majority decision was hypocritical. They ignored the fact that they both dissented against the very decision they attempted to invoke. Yet Justices Ginsburg and Sotomayor can’t have it both ways. If they believe religious hostility can serve as a basis for relief, as they state in Trump v. Hawaii, they also have to be prepared for to provide that relief for Jack Phillips. Conversely, if a decision can still be valid despite evidence of religious bias (as they argued in Masterpiece), then they should have supported the president’s reasonable national security regulations in Trump v. Hawaii. 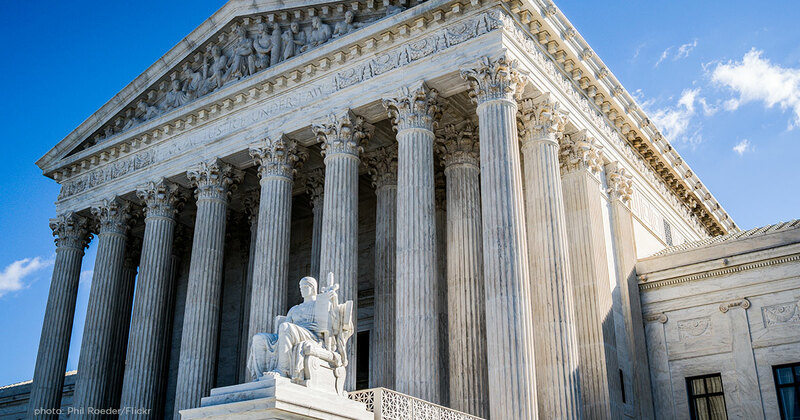 The Justices cannot ignore obvious religious bias when it is politically convenient, and turn around and use the same argument to attack other measures they don’t like.